Dianergy | Get your “Power” back… with Power Reiki! Hello, this is Diane! I am a Reiki-Master in Power Reiki: for Chronic Illness & Pain. I LOVE the beauty and synergy of this method. But, I need to back up a bit. One of the reasons I connect with this so intimately and dynamically, is that I was the patient before the healer. I was diagnosed more than 25 years ago with Multiple Sclerosis (MS). And my life has been through many ups and downs, as everybody with a chronic disease has. However, I decided more than 5 years ago to get back in the drivers seat of my own life. I jumped head-first into the world of “energy” like a child to its Mother. Not because it was logical ~ the exact opposite. This was pure instinct, gut feeling, intuition… call it what you may. And my mind/body/spirit began to heal. I have known for a very long time, that there was something else/more for me out there… somewhere… So I just kept searching! 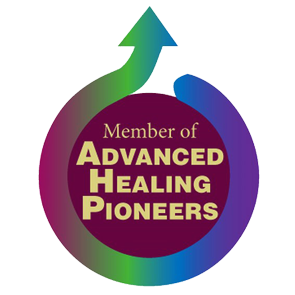 On my journey, I have found many things that benefitted me as add-ons to traditional medical care. 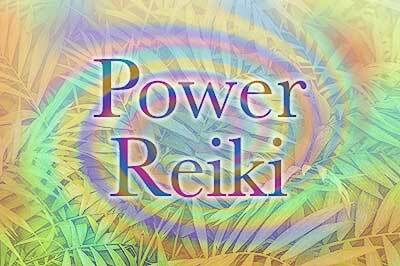 But only a very small few have ”rocked my world” and Power Reiki is one of them! My health continues to benefit from my daily use of this amazing technique. I start my day, end my day and even use it multiple times daily for myself as needed. I also used Power Reiki to aid in the healing of my brother who was in the most dire straits in June 2017 with the final stages of small cell lung cancer. He is now under no direct treatment from his doctors, and all the signs of cancer are now gone from his brain, lungs and anywhere else it had spread. The docs are still monitoring him, as he continues his healing journey at home. But no additional treatments are scheduled. Who could ask for anything more than that?!? If you are looking for something… for your health or someone you care about… you just found it. This comes from pure love and light. It is simply a matter of being open and willing to receive this potent healing energy. Contact me if you have any questions or would like to experience a Power Reiki session first hand for yourself. Ask me about the $99 Power Reiki in an Afternoon (Evening) special! (Live and in person in Columbus Ohio or distant via video conference).